Locally Owned and Operated Since 1977. Exceeding Expectations Since 1977. Holiday hours: Closed: Thanksgiving, Christmas. Others varies. Special hours: After-hours appointments with clients are available. Everything Grand Island needs to improve the function, or appearance of their homes. Flooring, kitchen, bath, paint and so much more! Looking to update or restore the look of your home, or improve efficiency with new insulation installation? 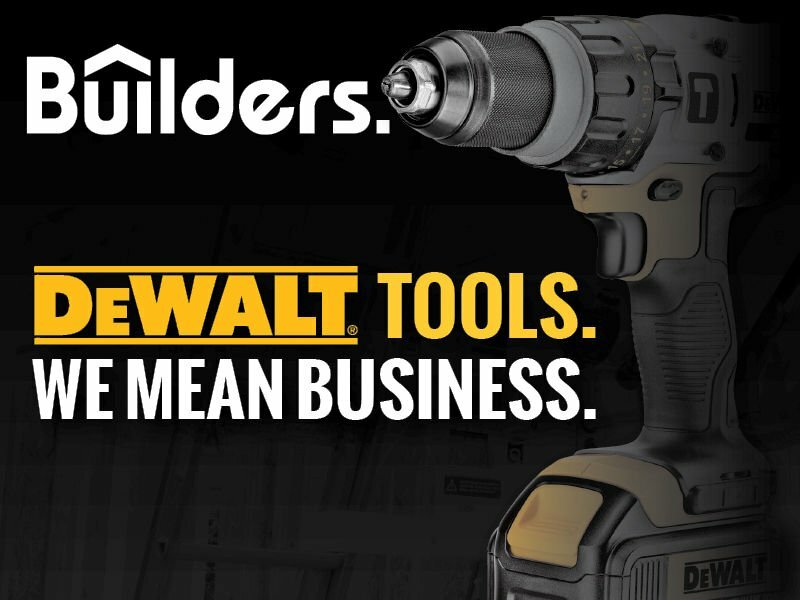 Visit our store to find all your hardware & building supply needs. We also have a beautiful & large selection of cabinets, carpet, lumber windows flooring, paint and even household appliances! We have a pros prepared to help you in when you want to remodel your bathroom from shower to sink. We take the time to figure out what you are looking for and find what is your style choices and price range to give you the ideal bathroom. We know that the kitchen is the center of most homes, so we make sure that our products and staff hold up to that standard. From countertops to appliances we have everything you need! We work with you to help in bringing your ideas to life. We are not just about selling products. We help make your dreams a reality. We hold numerous accreditations and certifications that set us apart from other bathroom and kitchen remodeling supply services. We only supply the highest quality products in our kitchen bathroom, and other remodeling projects. Whether you need a complete renovation or only several extra tasks knocked out, we can provide you with specialist guidance and the right selection to help. Come and see us and we will help you design the home of your dreams! Best Of Houzz 2016 & 2017 by over 35 Million Monthly Unique Users. Nominated Best Home Building, Remodeling and Design Professionals in North America and Around the World. January 11, 2016 – Builders has won “Best Of Customer Service” on Houzz®, the leading platform for home remodeling and design. Builders was chosen by the more than 35 million monthly unique users that comprise the Houzz community from among more than one million active home building, remodeling and design industry professionals. The Best Of Houzz is awarded annually in three categories: Design, Customer Service and Photography. Design award winners’ work was the most popular among the more than 35 million monthly users on Houzz. Customer Service honors are based on several factors, including the number and quality of client reviews a professional received in 2015. Architecture and interior design photographers whose images were most popular are recognized with the Photography award. A “Best Of Houzz 2016” badge will appear on winners’ profiles, as a sign of their commitment to excellence. These badges help homeowners identify popular and top-rated home professionals in every metro area on Houzz. “Our designers are here to offer their services, not just in designing and selling you cabinets, but by helping you select colors, paint, lighting, sinks, faucets and appliance packages. We are here to be your one stop experts, ready to help you as much or as little as your require to end up with a brand new space that you are going to love.” Jesse Hawney, Design Center Sales Manager for Builders. Follow Builders on Houzz http://www.houzz.com/pro/buildersdesigncenter/builders. We had lots of updating we wanted to do. Builders was there with any design ideas we needed and provided us with the perfect pricing for our limited budget on a remodel. We wanted lighting, counter tops, sinks, faucets, flooring, and paint! They helped us find just the right products in our modern color schemes and style. Thanks to Builders we were able to renovate our first home with the right look and price! Builders Design Center is absolutely out of this world fantastic!!! The personal attention, the quality of the products they offer, the competitive prices and the amazing show room with hundreds of inspiring ideas all make Builders the absolute best design center in central Nebraska. The entire staff is professional, well-trained, and highly skilled at what they do. They really listen to the customer to offer personalized ideas and suggestions that fit the project, the budget and the style preference. From the moment we stepped into the Design Center show room until our project was completed, Builders Design Center staff provided quick, accurate, precise, detailed, skilled, and personal service. They offer beautiful, amazing, quality products. We were beyond pleased that we had the privilege of working with this highly qualified, incredibly professional and gifted group of designers! Two thumbs way up!!!!! I built my custom home and used Builders for the lumber, windows, exterior products, flooring and tile in my house. They were great to work with and provided me with fair pricing. The contractor sales department was extremely helpful, and resolved the few issues that come up in a prompt manner. I highly recommend this company for any project, big or small. I worked with Robin to design a kitchen before I finished up the house plans with the draftsman. The kitchen was the most important room to me and she understood that it was important to me to start here. I know usually she starts with standard measurements from a house plan, but this time we worked together to create the measurements to put into the plan! Great experience! Building our 3rd home and my husband being a contractor for custom homes we are frequent customers of Builders and use the talent of the Builder's Design Team to our advantage. The girls there can bring any dream and idea into a reality that exceeds all expectations. We built our final home and I wanted it perfect. This wasn't an issue because they wanted it to be as perfect as I did. They worked one on one with me, listening to all my thoughts, ideas and wants. They in turn made something I could only imagine into something even bigger and better. When guests walk into our house they first thing they comment on is the WOW factor of our kitchen. It's open and functional but it's unbelievably elegant. The kitchen is where we spend time with friends and family and gather, hang out and make memories. The Design Team exceeded my expectations when it came to putting my home and kitchen from a blueprint to an actual living space. I would recommend the Design Team to anyone from anything as small as a laundry room remodel to an entire dream house. These girls are the best of the best and perfected my ideas into my dream home and kitchen. Thanks Builders Design Team! The entire staff at Builders was amazing to work with during our process of changing our laminate kitchen countertop to granite. Everyone was timely, professional and genuinely cared about us being satisfied with the end product. From the staff that helped us pick out our granite to the installers, everyone was a class act! I would and do highly recommend Builders to my friends, family and coworkers! I have done hundreds of projects and use Builders for most of my materials. Very helpful and polite employees. Gwen was excellent and very professional in designing a kitchen specific to our lifestyle and personal taste. The cabinets are of high-quality workmanship and the finish is exquisite. Ordering was simple and our cabinets arrived right on time. 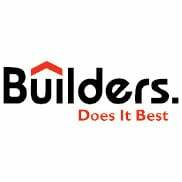 Builders are very professional and would highly recommend them for all your building needs. From start to finish, Builders guided me through products and design ideas leading me to my dream kitchen! Thanks, Gwen, you are excellent at what you do. Estimating & Residential Home Design - Builders offers Computer Aided Drafting design services, armed with experience, knowledge and the tools needed to create beautiful and functional designs for each individual customer. Our staff has over 30 years of experience, and stays up to date with the latest innovations in the building industry. They are committed to provide you with a high level of service on all your building projects. Let us help you convert your ideas into beautiful working drawings. 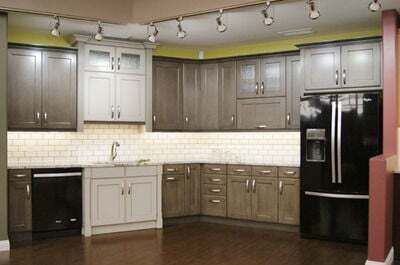 Full Service Cabinetry Design Center - Our designers are here to offer their services, not just in designing and selling you cabinets but by helping you select colors, paints, lighting, sinks and faucets and appliance packages. We are here to be your one stop experts, ready to help you as much or as little as your require to end up with a brand new space that you are going to love. Install Insulation - Builders offers Free no-obligation quotes and inspections! Properly insulating anew home or remodel is critical to comfort. Poorly designed or installed insulation packages can lead to cold spots, moisture problems, and higher energy bills. Insulation can pay for itself within a few years, then continue to save you money for as long as you own your home. It can even add to the resale value of your home. The International Energy Conservation Code require new homes follow guidelines for window and door U-values, furnace efficiency, insulation levels and more. Our installations are compliant with all national and local building codes. Component Design - Engineered roof and floor trusses and wall panels. Decks/Sheds/Garages/Additions - We have qualified team members that can assist you with planning your deck, shed, garage or addition, complete with a list of materials you will need. We can provide you with a number of contractors suitable for your job. Truss - Our truss plant was acquired with our Grand Island store in 1995. Since then, we have expanded their reach into 5 states and have upgraded the facility to a state-of-the-art plant that offers engineered roof and floor trusses and wall panels. While their technology keeps getting better and more complex, the formula they use to produce tens of thousands of trusses each year has remained simple, superior service. They strive to acquire the assets of the most experienced teammates and partners. They are committed to their customers and the pursuit of perfection. Counter-top - Opened in 1991 as Builders Millwork, this division focused on post-formed and custom laminate tops. We produce our own custom cut counter-tops, so we can control the QUALITY. Today, we offer laminate, solid surface, granite and quartz counter-tops.